O Allah! Keep me steadfast on the following of Sunna, and save me from indulging in innovations (bida). (Please, accept my supplication) For the sanctity of the Prophet. 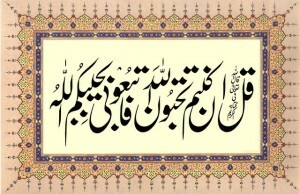 Allah salutations and peace be upon him and his family. This entry was posted in D. Acts of Worship on December 12, 2015 by 'abd.